There is also an ongoing epidemic of other forms of gun violence: suicide and unintentional shootings. Here in Washington, voters just passed an initiative that we hope will save lives without compromising Constitutional rights. 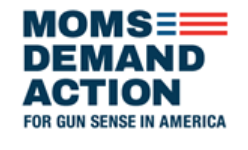 If you’re interested in learning more about how you can help advance a public health agenda of common sense gun safety, think about joining MOMS DEMAND ACTION FOR GUN SENSE IN AMERICA. There is an informational meeting at the Shoreline Library (345 NE 175th St.) on Wednesday, November 14th at 7:00pm for those interested in learning more about the work that MOMS DEMAND ACTION is doing locally and across the nation. You need not be a mom to get involved! Go to this link to register in advance (or just show up on Wednesday evening).